I really don’t like Adam Jensen. The character from the Deus Ex franchise, and based on games’ count alone, the main thing the franchise is about. The guy who never asked for this. This guy. 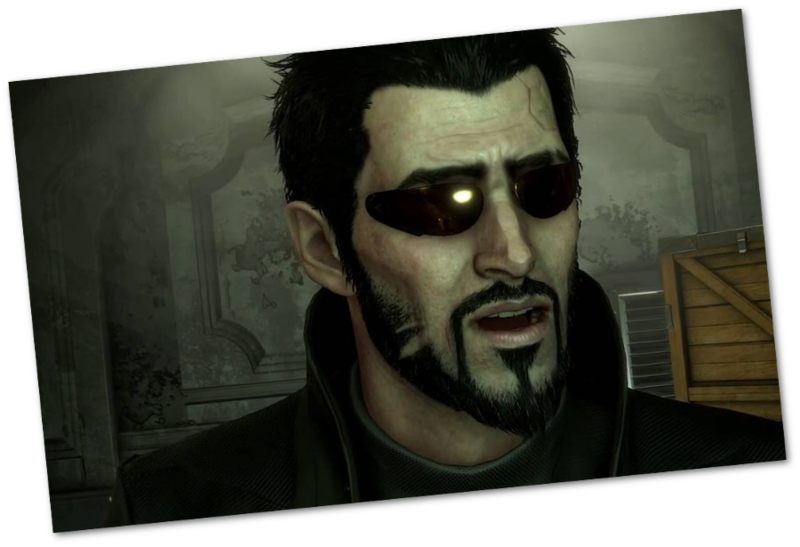 Adam Jensen’s only limitations represented by his cybernetic augmentations are the moments when someone calls him out of a lineup to tell him that he, the cool looking super badass who doesn’t have conspicuous augs and has special privileges that keep him from being seriously detained, has been noticed. There’s inklings of his physiotherapy, of the recovery, shown in Deus Ex: Human Revolution, but it’s invisibled. It’s on his desk in his home and you never have to do it. Adam Jensen isn’t in debt for his augs. He gets a super cool job that lets him do all the things he was doing beforehand, and the guy who could hypothetically charge him for the augs, repeatedly tells him that hey, no, it’s okay, it’s okay, you’re not in debt. The guy who gave him his augmentations basically is his dad, and that dadness carries through in how how kindand incredibly permissive that dad figure is. Cyberpunk stories are so often about alienation and destruction of conventional support networks through technology, but instead we have Adam with his beloved Dad taking care of him, even if he is doing shady stuff on the side. Adam Jensen isn’t dealing with the medical disabilities of everyone else with those augs, and it’s because Adam Jensen is the human being this universe created to be the one person immune to those problems. Like, that’s the point. The reason augs can happen at all in a widespread fashion is because Adam Jensen is immune to glial build-up. And what he did for this is literally less than nothing. In a cyberpunk universe, worlds defined by waste, corporate power being expressed through things like private police services, and the grinding complexity and difficulty of human interface with technology, Adam Jensen is the person who is exempted from these problems or benefits from them. Adam Jensen is the least cyberpunk thing to ever be created for a cyberpunk universe.